Missouri guard Kim English summed it up the 2011-2012 Missouri basketball season with just one word; fun. That word seems as appropriate as any, as the Missouri Tigers racked up the wins en route to a overall record of 27-4, winning the most games in the regular season in school history. The Tigers went 14-4 in conference play, the 14 wins being the most wins in a conference season since 1994. Yeah, fun sounds pretty appropriate.When Mike Anderson left the program to fulfill his dream of coaching at the University of Arkansas last April, English had another impactful and resounding quote.“We will reconcile the loss of our coach by doing one thing, and one thing only: winning,” English said shortly after Anderson left for Razorback country. And boy did they ever win. Frank Haith came in and set the bar high for the Tigers. The Tigers started the season by winning their first 15 games, which included a 29 point drubbing of the 23rd ranked Fighting Irish, a 39 point beat down of Pac 12 leading California, and a 38 point trouncing of the Oklahoma Sooners to begin Big 12 play. Tiger fans soon forgot about Anderson and turned their attention to supporting new head coach Frank Haith, hired a mere 6 months ago from the University of Miami. 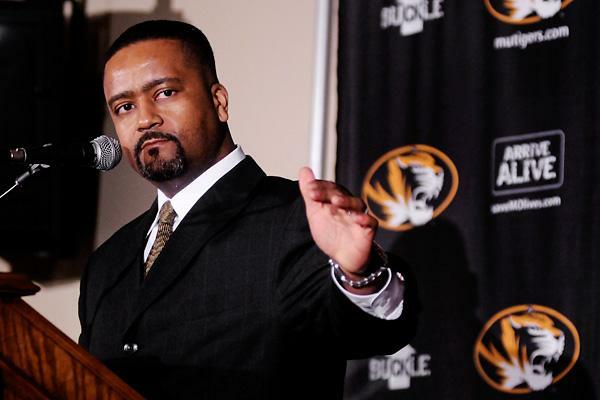 Haith’s time at Missouri began rather tumultuously, as fans were strongly opposed to the hire. Current students at the university even wrote a strongly worded letter to the athletic department expressing their disapproval of the hiring of Haith. Tiger fans feel as if they should have landed Matt Painter, current coach of the Purdue Boilermakers. Haith was inappropriately untactfully forced to defend himself at his introductory press conference. By season’s end, Haith needed to defense. He let the success of his team speak for itself. Frank Haith arguably was the most important part of the Tigers success this year, as he took the same players Mike Anderson had failed to succeed with and created a system in which players like Michael Dixon, Kim English, and Ricardo Ratliffe thrived in. 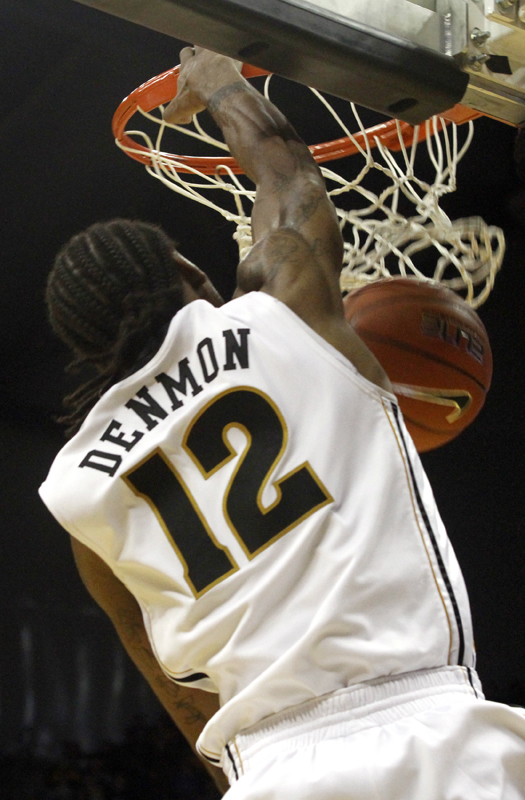 English returned to his sophomore year form, and Dixon and Ratliffe had their best years ever. Missouri was picked unanimously by Big 12 coaches to finish an underwhelming 5th at the outset of the season. At the time, it made sense. The Tigers had a new coach, a new system, and it was unclear how the players would react to losing 5 of the last 6 games that culminated in an embarrassing 78-63 loss to Cincinnati in the NCAA tournament the previous March. The Tigers also lost senior forward Lawrence Bowers for the season to a torn ACL before the season began in October. Many thought the season would be another bitter disappointment, and many around the program were curious as to how the players would respond to such difficult circumstances. But the Tigers responded about as well as they could have responded, as the Tigers saw their record blossom to 25-2 in mid-February, which included a thrilling and memorable 74-71 win over the Kansas Jayhawks. Missouri struggled a bit down the stretch, finishing the season splitting the last 4 games and ending up 14-4 in conference play, good for 2nd place. The 2nd place finish was the best finish by the Tigers since the Norm Stewart years and there was excitement surrounding the program for the first time since the early 90’s. The Tigers were back. Missouri was ranked in the top 10 in the nation for almost half the season, an astonishing accomplishment considering Missouri was didn’t see their name debut in the rankings until early December. Going forward, this Missouri Tigers team is extremely dangerous in the NCAA tournament. The Tigers have the best guard play in the nation, as they lead the NCAA in field goal percentage and are in the top 10 in both turnover margin and assists. Featuring five seniors, one junior, and one sophomore in their seven-man rotation, Missouri has players that are past the “me, me, me” phase of their careers—a trait typically synonymous with mid-major programs that make deep runs into the NCAA Tournament. As teams prepare for the tournament, they tend to shrink their rotation to the group of players that can offer them the best chance to win. However, Missouri has been accustomed to doing this all season long due to injuries, transfers not being eligible and an overall lack of scholarship players on the roster. Sure, they will encounter difficulty when guarding bigger teams down low, but that also works in their favor on the opposite end. The Tigers were tested by bigger teams such as Baylor and Kansas throughout the conference season, and they held their own winning 3 of 4 games against the two schools. The deficiencies of smaller players tend to camouflage themselves in the paint better in comparison to that of the bigger players stepping out to the perimeter—making guarding Missouri a very daunting task, especially with all of the motion they run to get their shooters open for easy jump shots. Ultimately, guards win games in March and you’d be hard pressed to find a team in the big dance that will have better guard play than Missouri consistently. As great as the season has been for the Tigers, it could get even better with a deep run in the NCAA tournament. This entry was posted in Basketball, Basketball, Home, Midwest, National and tagged Frank Fainth, Kim English, Marcus Denmon, Missouri Tigers, Phil Pressey. The Tigers’ program has had a tremendous season so let’s hope it matriculates with an invite to the ” Big Dance ” !